Chennai: As the #MeToo storm rages in India with personalities from arts and politics being accused of sexual harassment by many women, actor-politician Kamal Haasan Monday said the cinema industry should not be singled out on this matter. When such charges are being levelled, both sides should be heard for their versions, he said. “Don’t single out the cinema industry. We have to understand it (sexual harassment) is prevalent in all fields,” he told reporters at the airport here. Actor Tanushree Dutta had recently levelled sexual harassment charges against veteran star Nana Patekar, with the incident being billed as the starting point of the Indian #MeToo movement, which originated in Hollywood in the U.S. Subsequently, a host of celebrities, including Alok Nath, Subhash Ghai, Rajat Kapoor and Tamil lyricist Vairamuthu, besides serving and former journalists like Union Minister M J Akbar have been charged with sexual harassment by a number of women. The Makkal Needhi Maiam (MNM) founder-president said women were coming out with “a problem” and if the accusations needed to be examined, it should be done. It was now widely believed across the world that if such things came out in the open, there would not be any future harassment, he said. 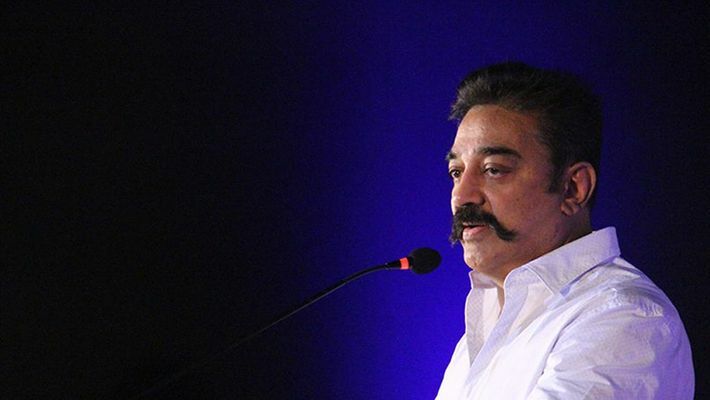 To a query, Haasan said he said he is opposed to caste and that this was reflected in most of his films. The actor-politician has been often critical of the K Palaniswami government on various issues, including corruption.